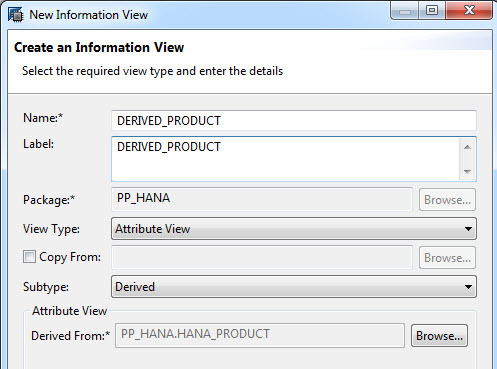 Attribute Views are information views in SAP HANA, They are build using SAP HANA Studio. This is the basic modelling in SAP HANA, In SAP BW you can compared to dimension. Most of the attribute views you create will be on master data. Atribute views are views on one or more table that are reusable and can be shared between several analytic views or calculation views. For Example Business Partner view can be used both in purchase order and analytic view. 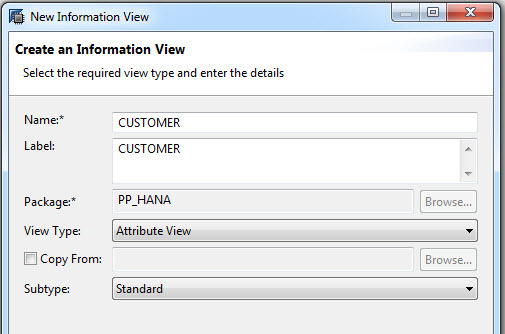 Standard Attribute View is the most type of attribute views are used when you create information view model in SAP HANA. Derived Attribute Views is attribute view type that you must use that attribute is more than once within the same analytic or calculation view. this derived attribute views act as reference to the base attribute view and you can change description field only. You can look on the picture above. It’s the screen when you create derived attribute view. you need to select Derived for SubType and Select the attribute view that you want to be the base attribute view. Time Attribute Views is the special attribute view to make possible for all your data models date data to be available in number of formats such as month, year, and so on. 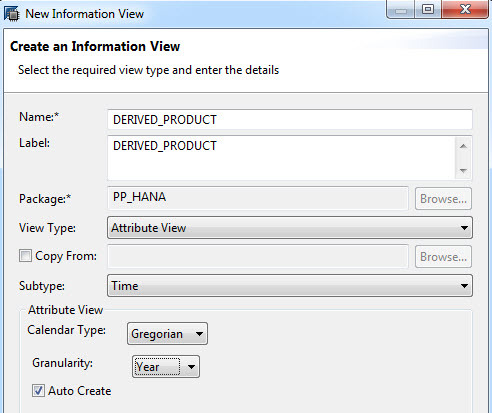 The time table created after you finished time atribute view reside in SAP HANA System Schema _SYS_BI and is called M_TIME_DIMENSION, by default it contains all dates from years 1990 to 2020.
why you need attribute views in hana?